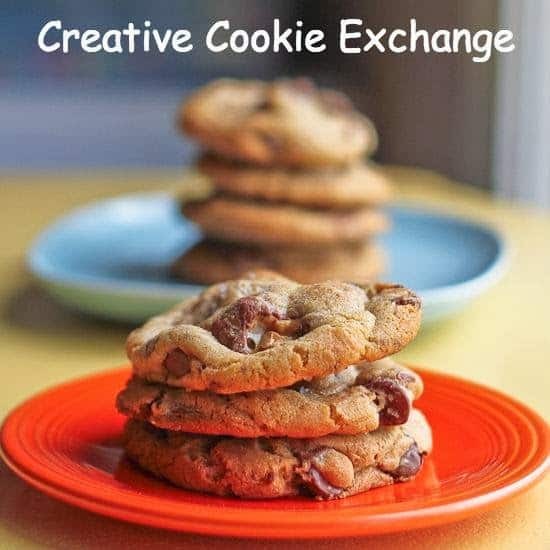 I have joined Creative Cookies Exchange this month to Make Someone’s Day Cookies. Well I love to bake for my daughter, so I sure hope I made her day with these delicious Cookie Butter Chocolate Chip Cookies. She loves a really good chocolate chip cookie, one of her favorites. I have been seeing cookie butter all over the place and wondered what the heck that was. It really intrigued me. I knew it was carried by my favorite store in the US, Trader Joe’s, so when we were in California over the holidays I made a point to pick up a jar to bring home. Cookie Butter?? What could it be? It is made up of a concoction of sugar, flour and oil. Healthy, ya not so much, but that was not what I was after in making a cookie. Tasty, delicious, chocolaty, crispy, flavorful are better adjectives than healthy for a cookie. The spread is vegan, vegetarian and nut free though. I like that as Amber can’t take peanut products to her school. Great alternative to peanut butter! I am from Canada so we are behind the times when it comes to cookie butter, not something I have seen on the shelves in our local grocery store. Speculoos Crunchy Cookie Butter was the kind I bought. There were almost out, as it is a real hit at Christmas time. The Speculoos cookie, that is what cookie butter is based on, originated in Holland and Belgium and are traditionally eaten before St. Nicolas arrives on either December 5th (Holland) or December 6th (Belgium and Northern France). The cookies have been around for hundreds of years. The are spiced with cinnamon, nutmeg, cloves, ginger, cardamom and white pepper. Els Scheppers invented the cookie butter for a TV contest in 2007 in Belgium. Lotus Bakeries got in touch with Els and together they created this spread for commercial sales. It was an instant phenomenon! Trader Joe’s introduced it to the their market back in 2011, shortly after it was introduced to the US as Biscoff. Trader Joe’s now has three flavors, Speculoos Cookie Butter, Speculoos Crunchy Cookie Butter and Speculoos Cookie and Cocoa Swirl. Well all of this sounded good but what did it taste like, it has the consistency of peanut butter but the taste of a ginger cookie and melts in your mouth. I was sold with my first slice of toast! The cookies turned out great and Amber loved them, crispy on the outside and slightly chewy on the inside. You get a hint of the spices but they are in the background. They just taste like a really good chocolate chip cookie. The best I have made to date. 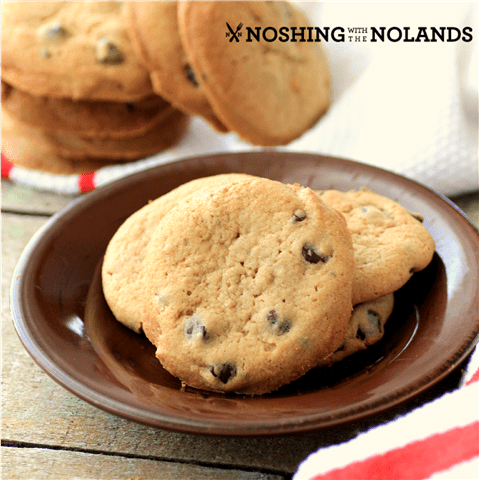 A delicious chocolate chip cookie made with amazing cookie butter. Preheat oven to 350F. In the bowl of a standup mixer fitted with a paddle attachment. Beat together the sugar and butter until fluffy. Add the egg and mix well. Add in the corn syrup and milk, mix well again. Whisk together the dry ingredients and add to the butter mixture. Stir in the cookie butter and fold in the chocolate chips. On a lightly greased cookie sheet, scoop dough out with a 1¼" cookie scoop. Leaving 2" in between cookies. Bake for 10-12 min. until lightly browned. Cool on cookie racks. I know what I’m getting at my next visit to Trader Joe’s. I usually use Biscoff spread but now I want to try this kind. Thanks Renee, I am a fan now that is for sure! The first time I had cookie butter I threw away all of the Nutella in the house and did a happy dance. Yum! Thanks Becca, cookie butter is so amazing!! I have two jars of cookie butter just waiting to be used. Can’t wait to try this recipe! Thanks so much Heather, enjoy!! I have a friend who buys cookie butter by the box load and she will love these cookies! Can’t wait to share a batch with her. She will love these cookies for sure then, thanks Holly. adore cookie butter — the crunchy kind! Must try your cookies. Lucky daughter! I have never seen cookie butter, I will have to see if we have it! These look so tasty! Thank you so much Kecia, have a peak for it, you will love it! Sadly, cookie butter has not made it to these shores either. I bought some when I was in the UK though so I am equipped to try your cookies. They look splendid! I saw cookie butter in the title and knew I had to get this recipe. Whenever I’m near a Trader Joe’s I stock up on cookie butter. It’s called “crack butter” in our house. Not healthy, but ohhh so good. I will have to try the new swirl variety. This cookie recipe looks delicious. I would say it is “crack butter” too, it made these cookies so good!! Oh wow!!! These sound amazing!! I’ve never heard of cookie butter before! will have to check it out! YUM! Thank you so much Angela, I hope you find some! How clever Tara!! Using cookie butter to make cookies!!! P.S. If you have World Markets around you, they sell the Biscoff spread. Hubby found cookie butter now at Superstore too. 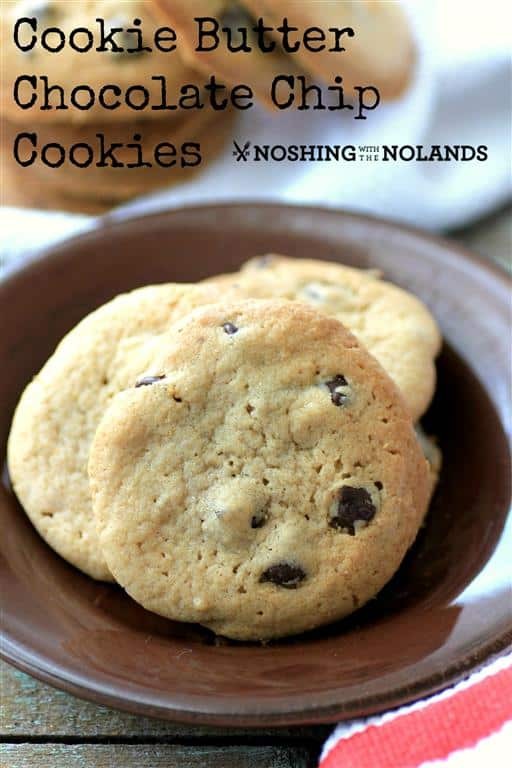 I have to try these cookies, They looks so delectable…. I am give in and just try one little jar of cookie butter. These look and sound delicious. You will love it Ansh! Thank you so much Kim for coming over!! I am not a huge fan of cookie butter, but I do love it in cookies! Have not tried a chocolate chip cookie with it–clearly I need to! It is so good in cookies, thanks Laura for hosting a great group! Can I order a dozen of these? I’m such a lover of cookie butter. It’s not exactly great for you, but it makes my taste buds do the happy dance! I have to pin this recipe and give it a try. Anything cookie butter is amazing in my book! Aaah, there could be worse things in life than cookie butter. Thanks so much Miranda! mmmmmm!!! 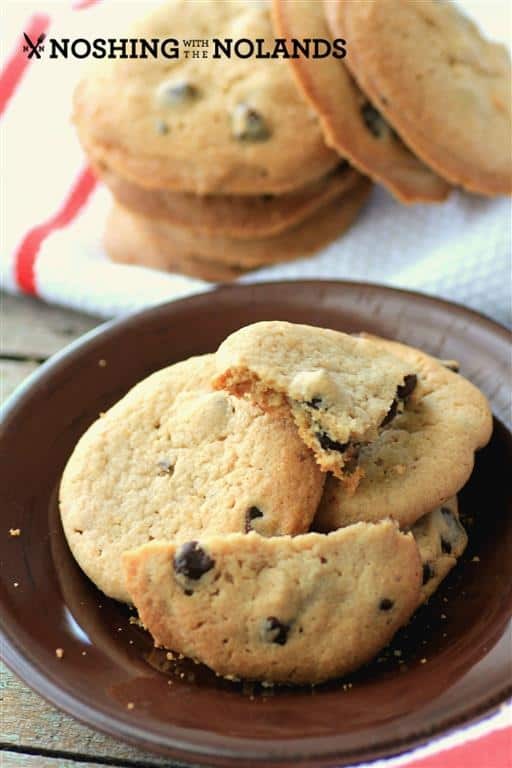 I love cookie butter and you using it in these ccc’s is brilliant! I love Southern Cal. for so many reasons and now cookie butter can be added to the list. Thanks Sophie! Tara those sound delicious, I love the idea of cookie butter in them. I have to look for speculoos butter, my daughter is chocolate chip cookie fan, I will try it, thanks for sharing with Hearth and soul blog hop, pinning. It made great chocolate cookies even better, thanks!